The internet is a huge and fast moving animal. There were an estimated 644 million websites on the internet as of March 2012. It is also estimated to be growing by an incredible 30 million websites a month! The web is where everyone goes to find information; the traditional paper directory is dead. Even the ‘silver surfer’ sectors are now using computers to facilitate their lives. Some recent research carried out by the Nielsen group identified that only 6% of search engine users will click on what they see as a paid advert. Google will tell you that this percentage is 25% but think about your own internet use, generally people see sponsored adverts as somehow less credible. They avoid the Adwords highlighted sector, particularly the right hand vertical advert column the top position of which is estimated to receive only 4% of page clicks. Organic optimisation is therefore essential and maximising the ‘long tail keyword’ for the client will without doubt drive targeted traffic. SEO is a great marketing discipline as it is ultimately measureable and therefore provable. No intangible results here but that does mean that there is nowhere to hide if you get it wrong. It is however a fast changing environment; don’t venture into SEO if you don’t like constantly learning and adapting your processes. It is critical that you are on top of your game. The recent Penguin 2 update in May 2013 is a classic example. This algorithm update penalises a website for poor quality back links and for overuse of anchor text designed to manipulate ranking results. Many companies have fallen foul of this update as previous SEO techniques often included purchasing links which are still in place. If you are considering entering this market you do need knowledge and experience, work within an internet marketing company if you can. Attend SEO conferences, join web marketing communities and read their blogs avidly. Consider the market sectors that you want to work in. What clients do you want? This will make a huge difference to the skills you need. Small local businesses and start ups will be much easier to optimise. National ecommerce clients dependent on online sales will carry a higher price tag but along with that will go the pressure for results. At the top end of course there are multi-national clients with multiple sites targeting different countries and languages. Needless to say this level of optimisation, site management, analytics and PPC will be very complicated. There is money to be made however and if you get it right a lot of work will come by word of mouth. My advice is to focus your energies on achieving results for your existing clients rather than constantly seeking new clients. New customers will come along as a healthy by-product. Take care not to over-sell and mislead. That way lays only unhappy clients and disappointment. There will always be competitors making unrealistic promises; the reality is however that good sustainable SEO takes time. Many sectors are hugely competitive; make sure your clients understand the difficulties. Take care to provide the facts and explain them. Put everything in writing so there can be no ambiguity going forward. Provide your best time estimates, I like to give a best and worst case scenario and of course cover yourself by explaining how you cannot be responsible for Google changes although you will do your best to react to them. SEO is a long term marketing investment, if your client does not understand this they should probably not start. New domains too can be difficult to rank, it can be 6 months before a site gains any traction in the market. 10% of ranking results now come from social media activity so content marketing is essential. If your customers are not social media savvy you may have to help them do it. Consider that in your service plans and consider both Face Book and Linked in for advertising if appropriate. This can provide interim results whilst you are waiting for rankings to improve. My best advice however is to approach your client’s business as though it is your own. What would you do for yourself? Be proactive; make yourself familiar with the industry, what are their competitors doing and should you be doing it too? This may mean moving outside the rigid lines of internet marketing but your aim here should be long term happy clients so don’t be mean with your advice. Follow Google’s example, set out to provide the very best, informed service you can and success will surely follow. How to make money by SEO was written by Karen James. Karen enjoyed a successful career in corporate sales and marketing before founding the Cambridge based LilacJames SEO agency in 2009. 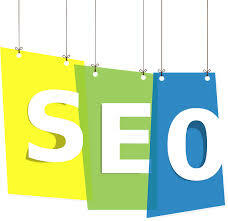 Thanks for sharing your view on search engine optimization to make more money online. I think, Its great way to earn money online if anyone have knowledge of internet surfing.